Start taking classes at Five Pillars Yoga and other studios! We've created this 65-minute class to be a complete, multi-dimensional yoga experience delivering both strength & serenity. 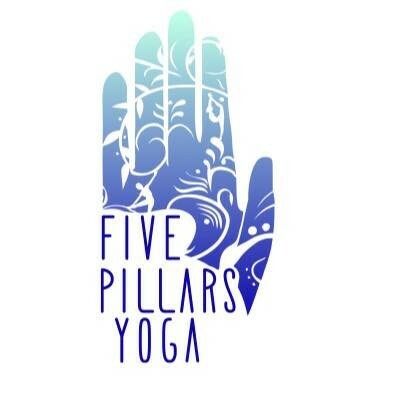 Led by studio co-owner and yoga director Olga Palladino and guided by the principles of our "Five Pillars" this powerful yoga class offers a 360° approach to the contemporary Vinyasa practice; incorporating core dynamics, vinyasa flow and inversions breath work, and restorative elements. Five Pillars Yoga offers a welcoming sanctuary to the community where yoga students can “Go Deep” cultivating emotional, spiritual and physical harmony. There are no upcoming “Five Pillars 360” classes on this day. Mats can be rented at the studio for $2 or bring your own! Lauren is the best! She makes every class challenging and, more importantly, fun. Always love Laurens classes! She is one of my favorite yoga instructors. The class was great, but the music truly disturbed the peace of pure yoga. I wish it was more soothing or instrumental. Doesnt help while trying to connect with your inner peace! The class was just okay. I still dont understand why its called 360. The instructors sequencing felt a little awkward and the music didnt really enhance the experience as much as it was just background.